Named after founding father Benjamin Franklin, the city of Franklin is located in Williamson County, along the now famous I-65. Situated only about 25 minutes outside of Nashville, Franklin is popular with commuters and has grown exponentially in the last few decades. For many years now, Franklin has been in the “Top 100 Best Places to Live” and one of the “Top 10 Places to Retire” by Money Magazine. Franklin homes for sale offer residents access to a vibrant downtown area featuring historic sites, award-winning entertainment venues and acclaimed restaurants. 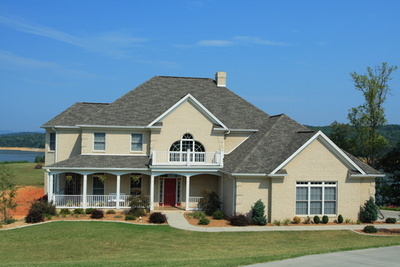 Included below are homes for sale in Franklin. If you would like more information on any of these Franklin homes for sale, just click the "Request More Information" button when viewing the details of that property. We can provide you with disclosures, past sales history, dates and prices of homes recently sold nearby, and more. And, if you haven't already, be sure to register for a free account so that you can receive email alerts whenever new Franklin homes for sale come on the market. There are many reasons to invest in the Franklin real estate market. For starters, hundreds of new homes and businesses pop up every year as it’s one of the fastest growing communities in the area. Homes for sale in Franklin are found throughout the area and offer home buyers a variety of options, including single-family homes in the suburbs, condos in the downtown core, houses in senior-living neighborhoods, and new constructions. Being so close to Nashville, living in Franklin is a great option for commuters. As such, homes sell quickly in Franklin and multiple-offer scenarios are common, so make sure you’re prepared.